The most critical threat to ICCAs in the North American context remains the Western ideology of seeing the world as a collection of disconnected phenomena in which humanity is separated from nature. This worldview leads to poor economic decision-making and profound breaches of trust. Mineral and gas extraction, for example, as dramatically seen in the clash over the Dakota Access Pipeline in North Dakota, threaten the health and beauty of communities and their territories, and large scale industrial agriculture and fisheries can degrade or destroy natural systems. The same exploitative thinking leads to dysfunctional societal arrangements as well, including abuses suffered by indigenous people. Unfortunately we still see racism and repression– the forces that underlay the original expulsion of indigenous people from their lands, beginning with the time of contact and continuing throughout the Indian Removal (from their lands) and Tribal Termination (termination of their recognized status) eras in US history. In North America, the main colonial and post-colonial attitude toward land and natural resources has been acquisition, settlement (transfer of land into private ownership), and relatively unfettered commercial development. By the close of the 19century, the social and ecological costs of these policies had became apparent and ‘progressive ideals’ were developed as a response, arguing that governments should regulate, manage and provide for the public good via highly trained state officials. At least in part, the establishment of federal forests and protected areas in the USA can be seen in this light. As communities remained economically dependent on natural resources, however, they continued to exercise varying levels of influence over management decisions. Through time, public participation in management was partially formalised, although stressing individual rather than collective or community-based engagement. Cases of non-indigenous communities that independently govern and manage forests, wetlands, waterways, coastal areas or pastureland are not common. It is relatively common, on the other hand, to encounter citizens with a sense of responsibility for the natural environment and collective wellbeing, which stimulate various forms of collaboration with government agencies, for instance to manage local micro-watersheds, beaches, fisheries, and forests. Such collaborations are a fertile ground on which ICCAs can develop. Yet, community governance remains legally subordinate to agency governance in all public lands and waters. 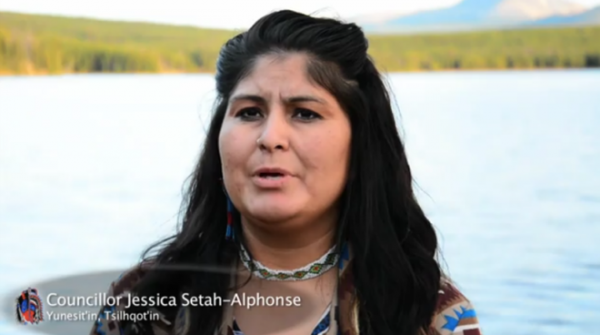 Concerning indigenous peoples, land rights issues are more complex and diverse. In the United States, the different political realities of contiguous mainland, Alaska, Hawaii and the territories affect the status of both the land and people. There are more than 500 Native American tribes, called ‘Alaska Natives’ in Alaska, and ‘Native Americans’ in the mainland. The different tribes may have special rights defined by treaties particular to them, which may include the right to cross freely between the US and Canada, or the US and Mexico. The indigenous peoples of Canada are also referred to as ‘First Peoples’ and comprise First Nations, Inuit and Métis. There exist over 600 recognized First Nations governments or bands with distinctive languages, art, music and cultural identities. Besides ethnic distinctions they have different relationship with the state because of the presence, or absence, of specific treaties. The Hawaiian Islands, though geographically part of the Polynesian region of Oceania, are within the geo-political jurisdiction of the United States, as its 50th state. In other words, Native Hawaiians have a cultural connection to Oceania and Polynesia, and a political connection to North America. But Hawaiians do not have the same federal political status that many Native American tribes have. In fact, Hawaiʻi was once a multi-ethnic nation-state, recognized by many nations around the world. In 1893, however, it was its overthrow by the US, prompted in large part by business interests. The issues of US colonial aspirations in Hawaiʻi’s history and the current political status of Hawaiians are part of an ongoing vigorous dialogue within and without Hawaiʻi. The Hawaiian language is, along with English, an official language of the state, and Native Hawaiians have certain rights under state and federal law, including the right to exercise customary and traditional practices. These date back to precolonial days and express the unique relationship the people had and continue to have with their places of origin, especially the ways in which they care for their lands and the waters surrounding them. Today, among the hundreds of Native American tribes in the US, there is disproportionate and unequal hardship. Some tribes have mineral wealth at their disposal. Others have important privileges granted to their lands, such as running casinos, which are sources of considerable income. But still others have few or no resources or means of livelihood. Although some Native Americans live in land units called Indian reservations, a majority of Native Americans and Alaskan Natives live in the large cities of the western US. Indian reservations are lands managed by Native American tribes under the US Bureau of Indian Affairs, rather than by the governments of the specific US states in which they are physically located. The quality of schools and medical facilities vary greatly from reservation to reservation, as do housing and other basic needs, and overall as a group, Native Americans tend to be over-represented in negative social statistics for health, poverty, crime etc. The Native Americans of Canada face very similar challenges to their homelands and their ways of life. Some tribes currently have no formal relationships with their governments but continue to fight for recognition and self-determination. Native Hawaiians have designated ‘Hawaiian homelands’ which are determined by blood quantum. The issue of blood quantum and the management of these lands by the state have a complex and sometimes contentious history. Native Hawaiians have an additional vulnerability, beyond the history of imperialism they share with Native Americans. Like many other island communities, Hawaiʻi is exposed to over-reliance on outside resources such as tourism and military occupation, and they experience abuse in the form of over-extraction, or corporate monopolization, of biocultural resources and sacred landscapes. Indeed, Hawaiʻi has the unenviable reputation of being the “endangered species capital of the world.” Although Hawaiʻi is often lauded for its strong sense of community, native culture, and natural beauty, the history of its peoples remains a story of great loss. 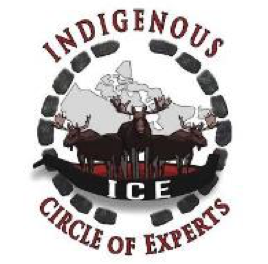 As Native Americans of Canada work to improve their situation, their overarching goal is to educate the general public, as well as relevant individuals in government, about the historical treaties, the foundational agreements between Indigenous peoples and Europeans, which often date back to the 1700s. Such treaties comprise the senior elements of Canadian constitutional law, and they express values and principles that remain useful in the new frontier of protected areas in Canada. A variety of other strategies, including alternative economics, legal arguments and declarations of intent, have also been successfully employed. These are especially needed today, in the ‘era of reconciliation’. In Canada, ICCAs have an important new basis for appropriate recognition through the pathway provided by Canada Target 1 (Aichi Target 11). 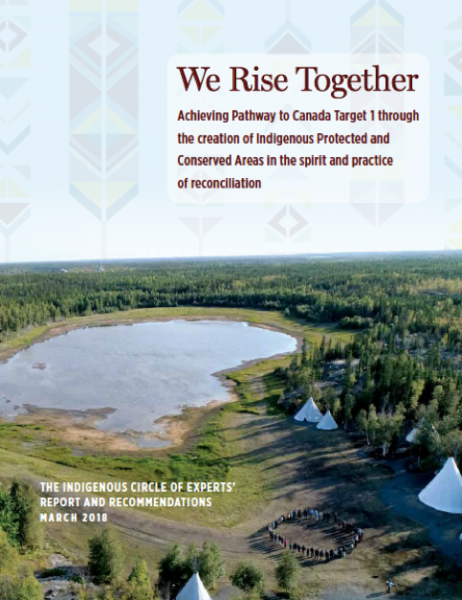 Recently, the ICCA Consortium Regional Coordinator has been engaged by Parks Canada to help form an Indigenous Circle of Experts to advise and provide recommendations on how Canada can achieve its targets in the spirit and practice of reconciliation with indigenous peoples. In the continental US, some tribes have engaged in large-scale restoration initiatives returning to their natural state large-scale ecosystems such as Nez Perce Precious Lands, Big Cypress Swamp and the Inter-tribal Sinkyone Wilderness. This provides evidence of both the capacity and willingness of native Americans to engage in conservation as part of their self-determination engagements. 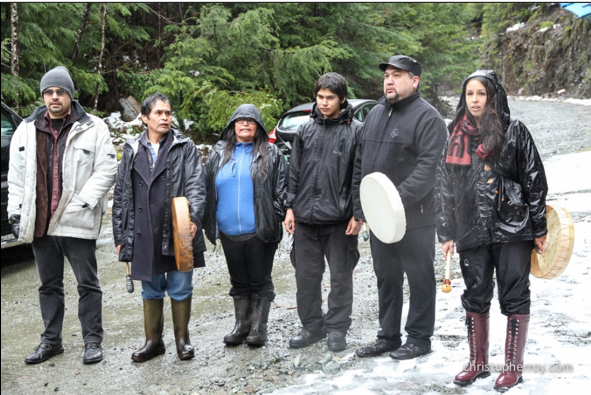 In Canada, a similar encouraging movement toward the dream of restored homelands is the implementation of Tla o qui aht Tribal Parks—an opportunity for both ICCA recognition and reconciliation between governmental agencies and indigenous peoples. The ICCA Consortium strongly supports the development and appropriate recognition of Tribal Parks and other locally appropriate forms of “ICCAs”, as well as the engagement of both individuals and communities in the sound governance of land, waters and natural resources in collaboration with government agencies. This can best happen hand in hand with the full de-colonisation of conservation, starting from a fully-informed ‘truth and reconciliation’ attitude. For instance, the Consortium encourages full information and discussion of cases such as California’s Yosemite National Park and South Dakota’s Mount Rushmore National Park, from where native peoples were violently removed at the time of establishing the land’s protected status. Despite being overly represented in negative social statistics, Native Hawaiians are currently making a great deal of progress. From a population that was decimated by colonization, falling from as many as a million to an estimated 40,000 at the time of overthrow (1893), there are now almost 500,000 individuals of Native Hawaiian ancestry in the world. Since the last half of the 20th century, Native Hawaiians have actively begun to revive their culture, customs and practices, and to build institutions within and outside of Hawaiʻi through growing communal and civic participation. This revival includes re-invigorating their relationship with their natural environment, viewed as an ancestor, through caring for Hawaiʻi’s sources of life at both grassroots and institutional levels. Crucially, the State of Hawaiʻi recognizes Native Hawaiians as the indigenous people of the islands and has embedded certain rights in its constitution, including the creation of an Office of Hawaiian Affairs (OHA). This is a semi-sovereign agency primarily involved in grant making and policy advocacy. The OHA advocates for issues of self-determination as well as the overarching policies that effect environment and culture. As the OHA builds a foundation of resources for its operations it has also begun to acquire culturally significant lands for a future Hawaiian nation, however, like many government agencies it struggles with pathways to empower its beneficiaries and their relationships with these places.